This LEGO Friends Mia's Foal Stable Building Kit is on sale for $15.99 (Retail $19.99). 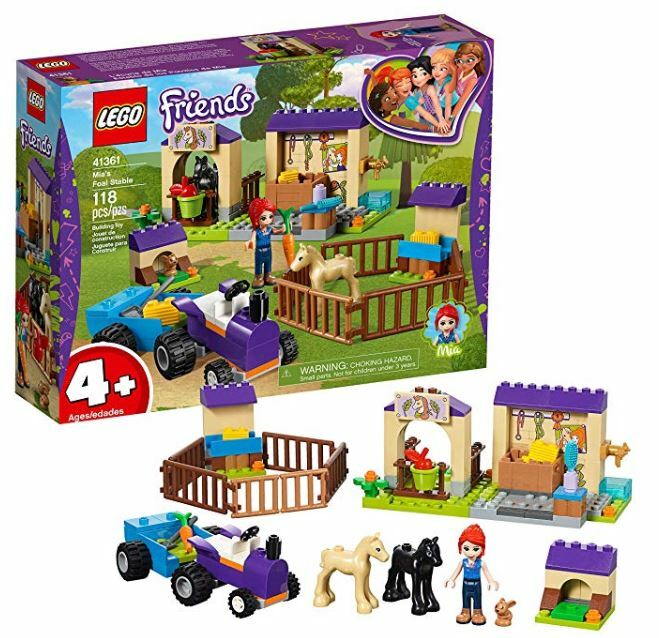 Let your child express their nurturing side with LEGO Friends 41361 4+ Mia's Foal Stable. This LEGO 4+ horse farm toy is specially designed to be fun and easy for preschoolers and youngsters, with animal figures for role-play fun, as well as a tractor, a tack room in the toy horse stable and a fenced paddock. The special Starter Brick base lets even first-time builders experience the pride of constructing buildings, vehicles and more, all on their own. The included simple guide to build and play will also help your young animal lover understand the purpose of the building steps and grow their imagination and confidence.